We finally got the picture. It only took three attempts at the milestone moment, but we got it. When Brandon was learning to ride a bike, it seemed like he had his training wheels on forever. One day he unexpectedly asked Dave if he could remove the training wheels. Excited to capture the moment, Dave hollered for me to get the camera. Little did we know that Brandon had already learned to ride a two-wheeler at his friend’s house. As Dave began to tell Brandon how we’d all go outside and he’d hold the back of the bike while I got in position for the picture, Brandon looked perplexed. He didn’t need a mess of parental production. He simply needed Dave to take the training wheels off so he could join the other boys on the street in new-found freedom. Wow. Dave grabbed the wrench, loosened the bolts and watched Brandon ride off into the sunset before I could join them with the camera. We felt like we had failed as parents. I mean, we didn’t get the moment on film. Flash forward five years. 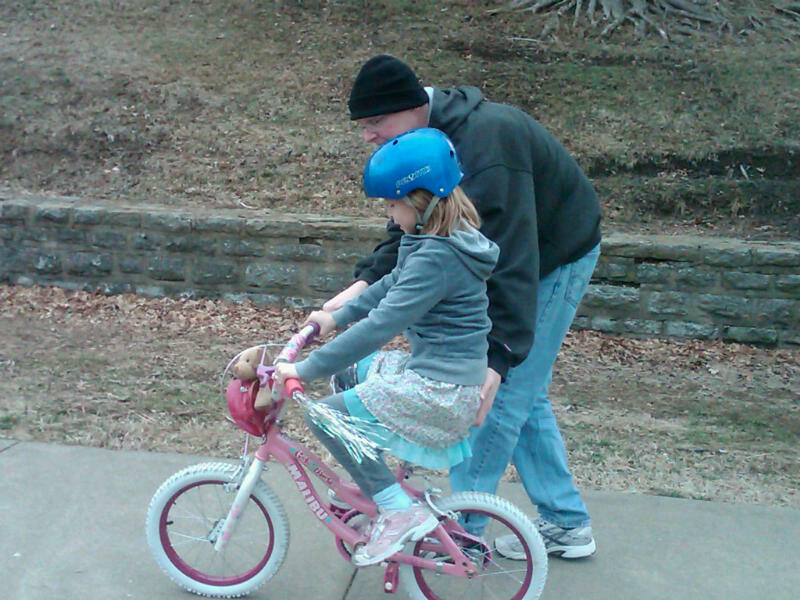 Now Jameson was learning to ride a bike and we were certain we’d get the moment documented. It was August and vacation time. All the way down to Hilton Head we assured James that it would be easy to learn to ride a two-wheeler on the packed sand. On our first island morning, we brought our bike rentals down to the beach. It was low tide, wide open and perfect. Little did we know that James had been studying his friends as they mastered two-wheeled freedom and had a good idea of what to do. So, while Dave and I were setting up the beach umbrella, making sure baby T didn’t get too close to the shore and talking about who would take James riding, Jameson quietly picked up the two-wheeler and started riding circles around us. It took a minute for it all to sink in as his movements were natural and his grin so big. Damn, if we didn’t miss the moment again. Push the calendar another five plus years and we realized that this summer we didn’t get a chance to teach Tessa to ride her bike sans wheels three and four. As a matter of fact, we really didn’t get the bike out for her that much. Pain and then pre-occupation with, well, you know, caused us to not do many things that parents typically do. But today, with temperatures close to 60F we found ourselves with free time on our hands along with a whim and a wrench. 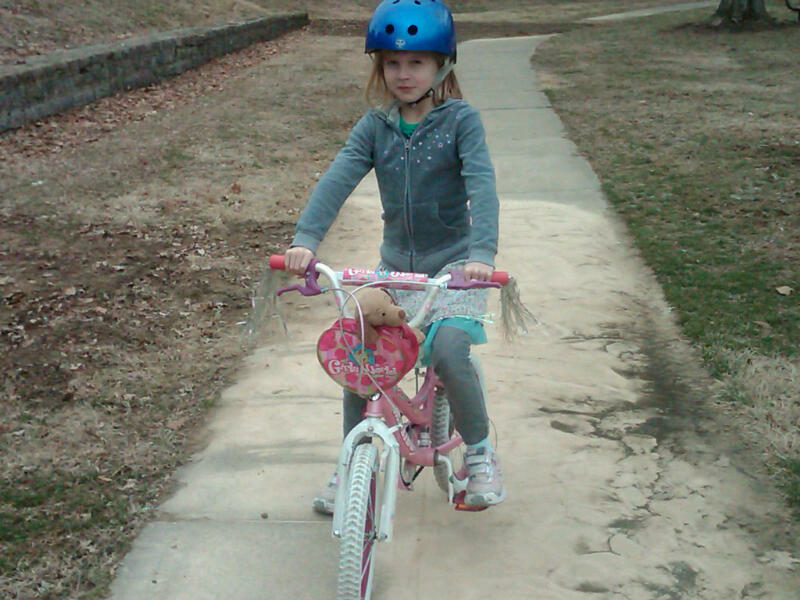 So, we popped Tessa into the van with her bike and headed to the park where there was a lot of flat space. It felt so great to watch Dave talk her through and follow behind with one or two fingers on the seat to steady her ride. And yeah, I almost forgot to capture the moment because I was enjoying the moment. But at the last second, I grabbed my phone and got the shot. Within minutes she was on her way … free and happy and that made us smile. Critical moments are going to happen, camera or not.